These lifts have a higher lift capacity (800-900 lbs. vs. 500-550 lbs.) 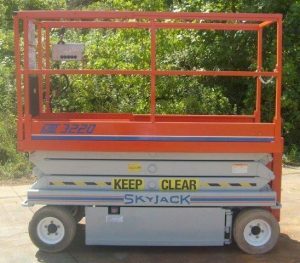 than a 19 ft scissor lift, have a longer platform length and are suitable for construction, maintenance, and warehouse applications on a smooth surface. Battery chargers are built-in and most units have an optional roll-out extension deck that allows you to reach out over obstacles. Please call 1-800-232-5079- 7 days a week until 9:00 PM. 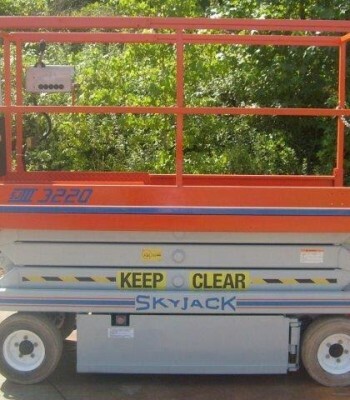 The scissor lifts shown here were past sales of ours; please go to the Current Specials Tab for some of the lifts that we currently have available for sale. 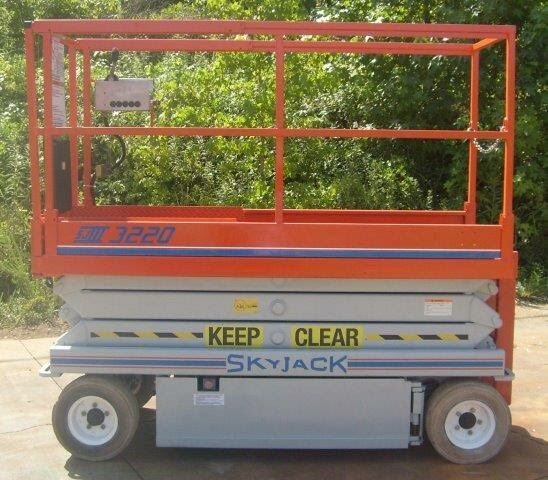 Jim N. from Chicago, IL 60613 bought a Skyjack 3220​ and said “Great lift! Runs like new. Better unit than I used to get from local rental company”.